Sep - 06 | By: Greg Hamilton | no comments. 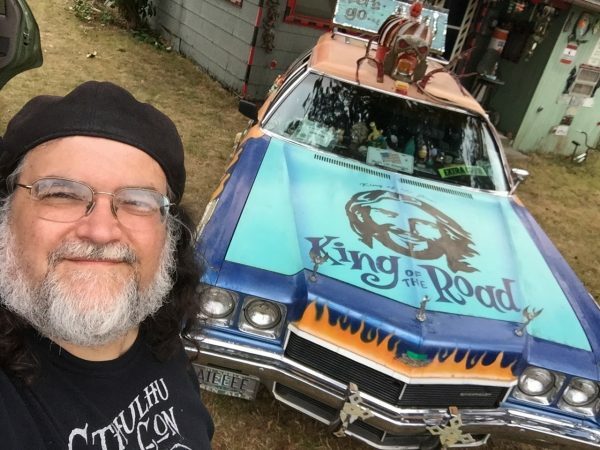 Portland documentary short, and #OregonMade, “Thou Shall Not Tailgate” recently received accolades from MovieMaker Magazine (Crowdfunding Pick) and Kickstarter (Projects We Love) for it’s current fundraising effort. With less than TWO DAYS LEFT, the indie short raised over 60% of it’s budget, and met its $15k goal. 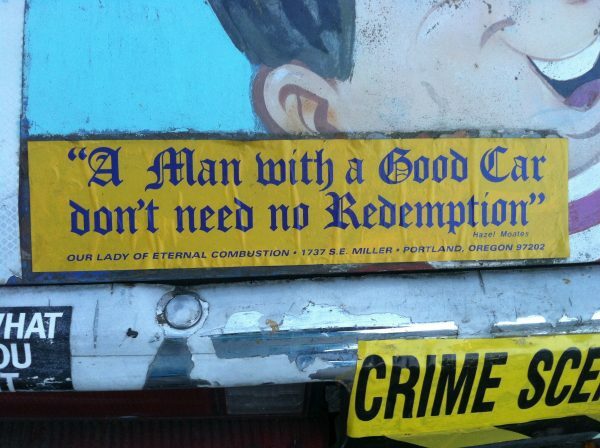 Thou Shall Not Tailgate is a short form documentary about Portland art car creator, retired postman and minister, the Rev. Charles “Chuck” Linville. The film is an observational profile of Rev. Linville and his world, which includes multiple cars (and two houses!) 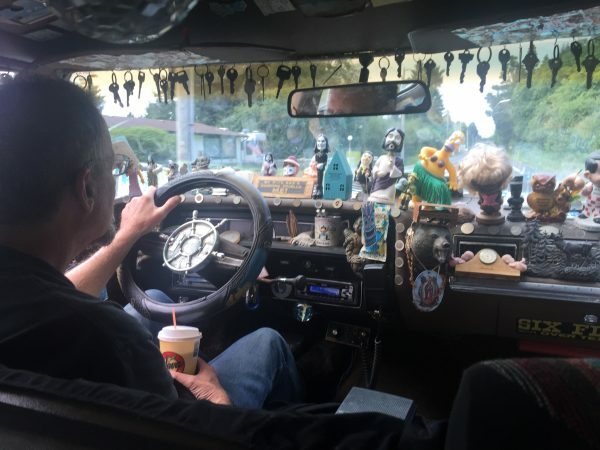 that are thematically decorated in knick-knacks, cultural detritus and a host of other random oddities that he has dug up from thrifts stores and the like. 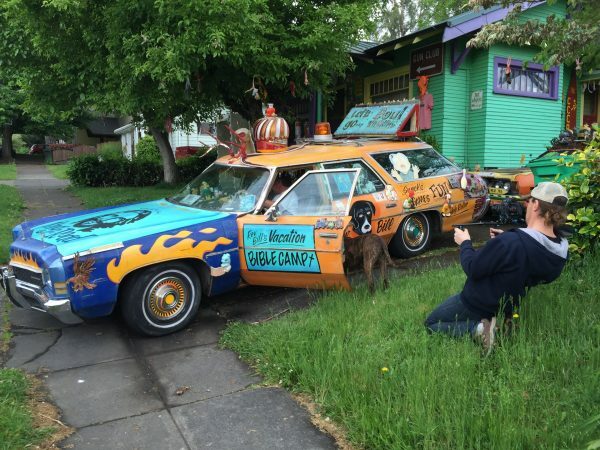 An early adopter of DYI art car culture in Portland, OR, Rev. Linville is also one of the founding members of the Portland Cacophony Society, a collection of local artists, musicians and pranksters that author Chuck Palahniuk wrote about in his Portland expose “Fugitives and Refugees”, and drew inspiration from for the Project Mayhem group in “Fight Club”. His cars have been featured in documentaries, magazines and most recently, in two episodes of the comedy series “Portlandia”. 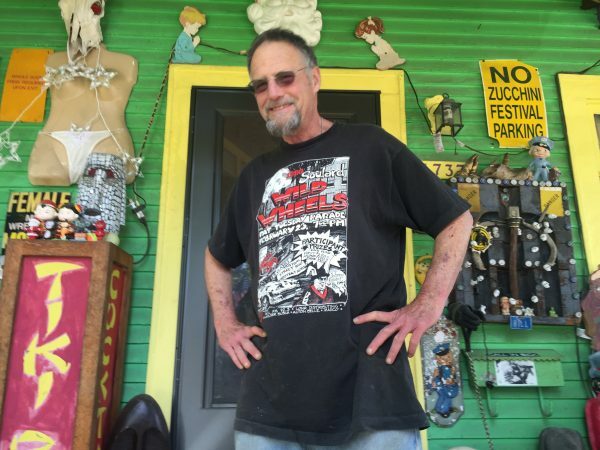 A cross between a collector, provocateur and outsider artist, Linville stands in stark contrast to the world around him. His artistic expressions comment on politics, religion and fringe culture like no other. Diabetic and in his sixties, he has seen trends come and go, while living and creating on his own terms. By highlighting his art, music and opinions, this film will illuminate Chuck’s unique personality and vision, illustrating how his brand of individualism and originality is vital to an increasingly homogenized culture. The interior of Rev. Linville’s rig. Influenced by the fly-on-the-wall, lived-in documentaries of Les Blank, this film speaks through interviews with Rev. Linville, selections from his music collection and an eye toward the colorful universe that surrounds him. The story will be driven by an audio narrative that will tell his story through conversations, old photos and moments of visual poetry. GREG HAMILTON has been a Film Programmer in the Pacific Northwest for the last 14 years, where he has hosted regional premieres, retrospectives and revivals of classic films at movie houses all over Portland. He is a board member at the historic Hollywood Theatre in Portland, OR and programmed his first major film festival last year (Julien Dubuque International FF in Iowa). This is his first documentary short. Thou Shall Not Tailgate subject Rev. Charles “Chuck” Linville. With this funding, we expect to have a final cut by the end of 2017. The estimated length of the film is 25 minutes. Support the film by clicking here.